Cloud9 Design Canaan Cowhide Decorative Pillows - Swatches may be available. 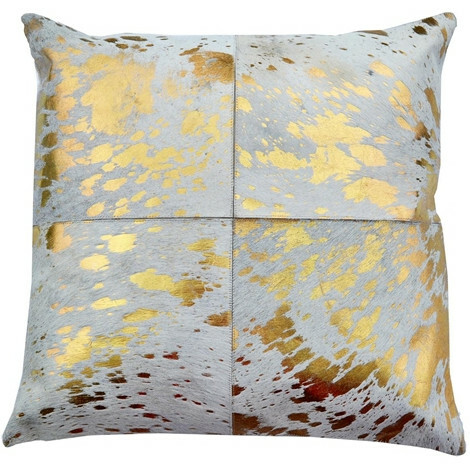 Featuring gold or silver four sections stitched together decorative cowhide pillow. Every pillow's appearance will vary due to the natural properties of the product. All pillows come with zipper closure and a feather-down insert. Solid back. 20x20 Gold cowhide with four sections pillow. Pillows will vary in appearance due to the natural properties of the cowhide. 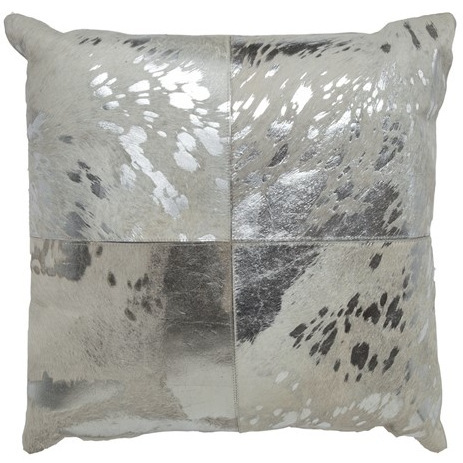 20x20 Silver cowhide with four sections pillow.